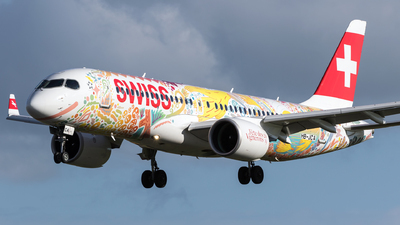 Note: ''Fête des Vignerons 2019"
Note: New special paint scheme ''Fête des Vignerons 2019''.. 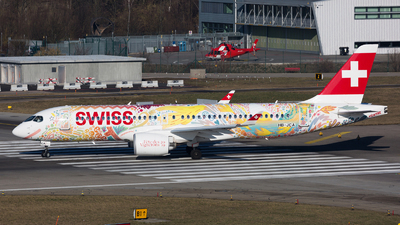 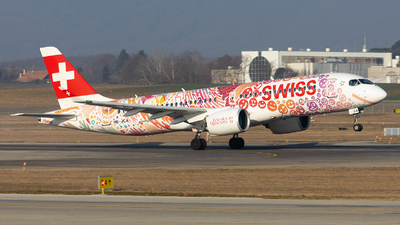 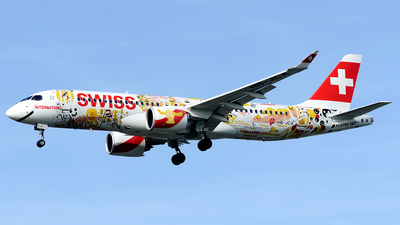 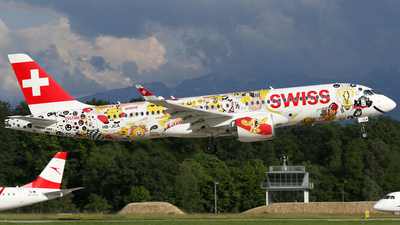 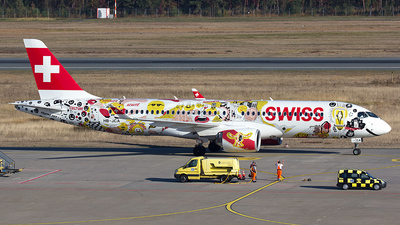 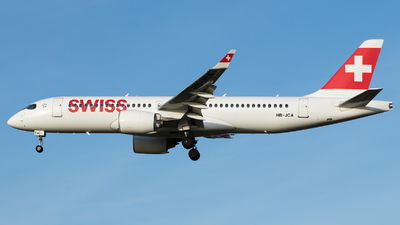 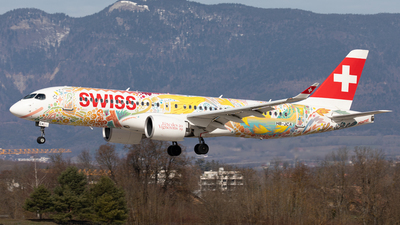 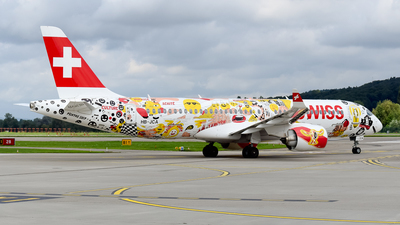 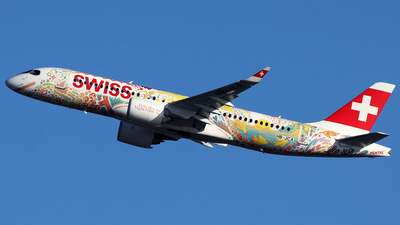 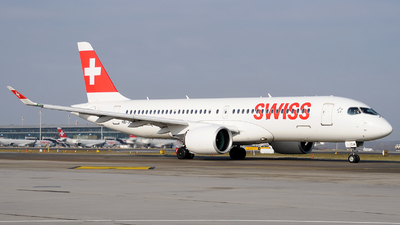 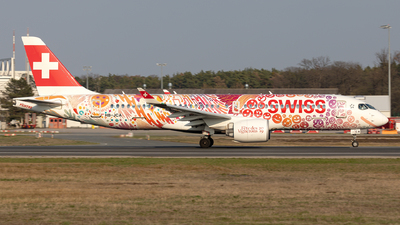 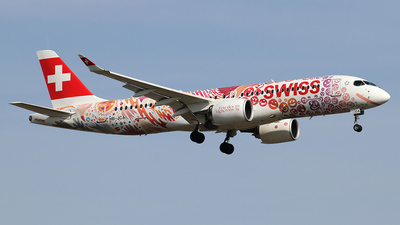 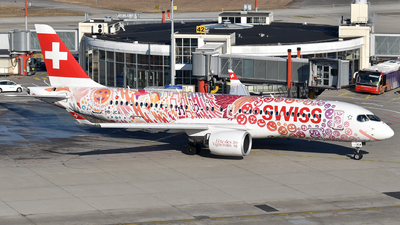 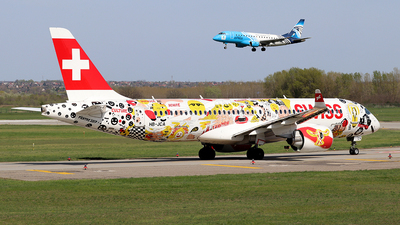 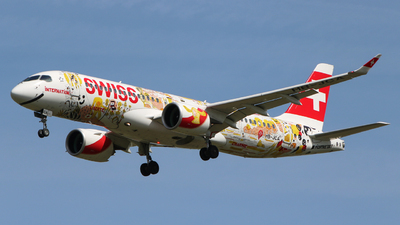 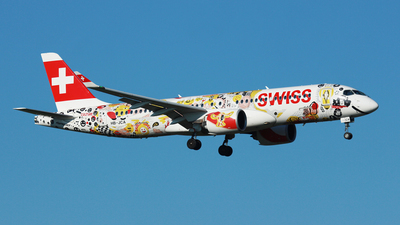 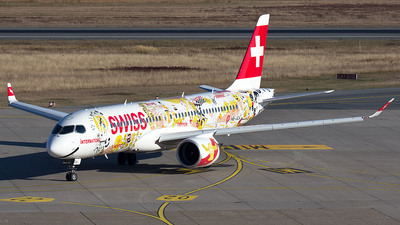 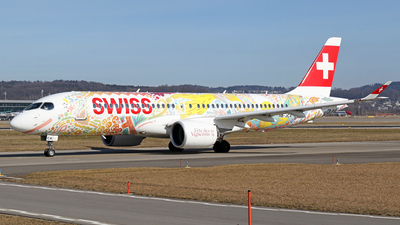 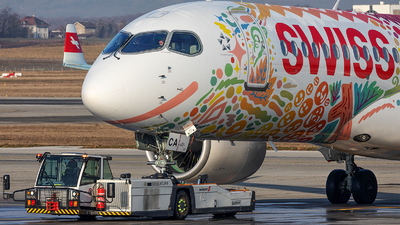 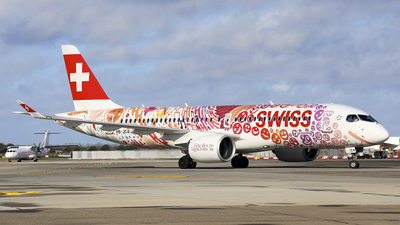 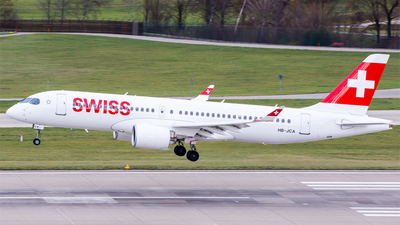 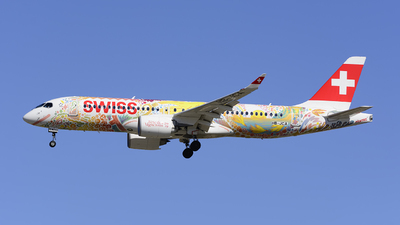 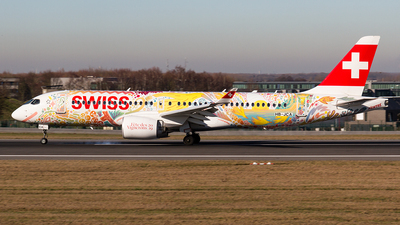 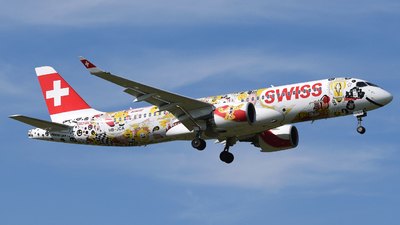 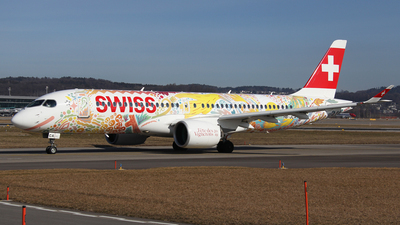 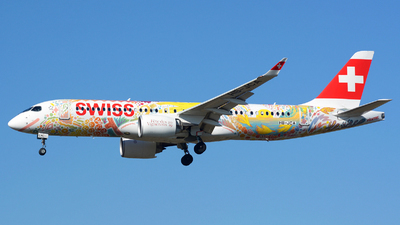 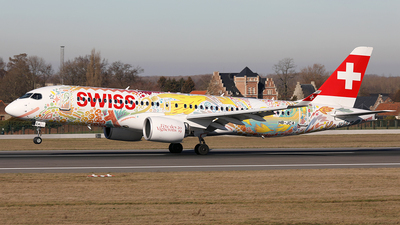 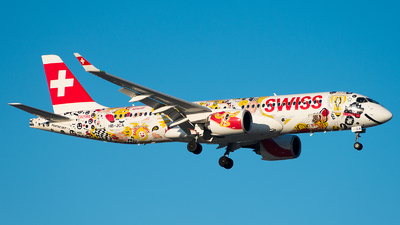 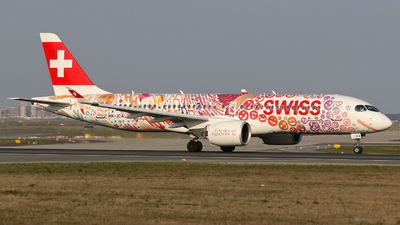 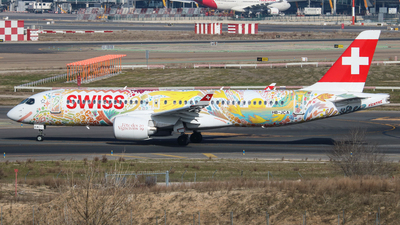 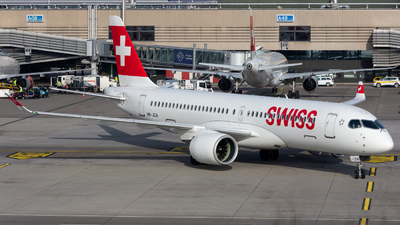 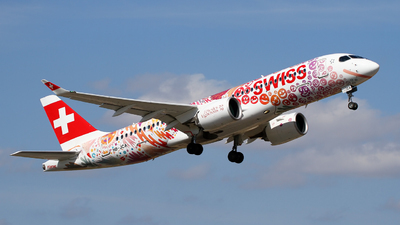 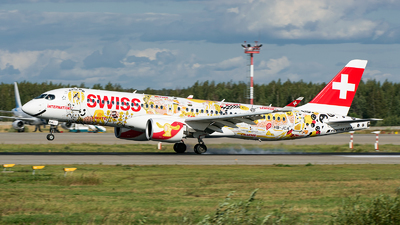 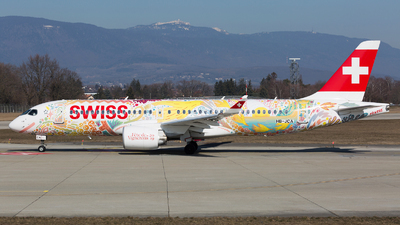 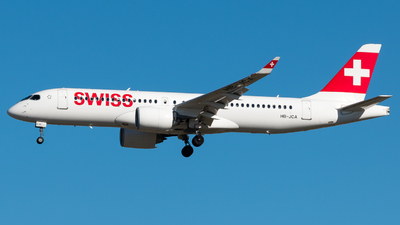 Note: Swiss Romandy livery on the first Bombardier CS300 aircraft. 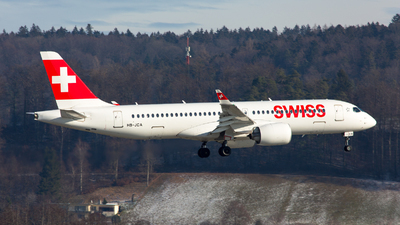 SWISS 348 final approach rwy 27L from Geneva in the afternoon. 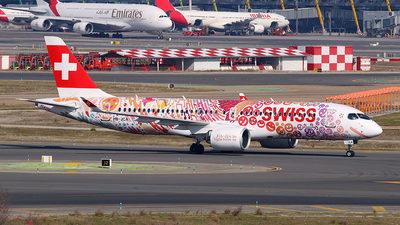 Note: Now wearing different colours than it's previous visits. 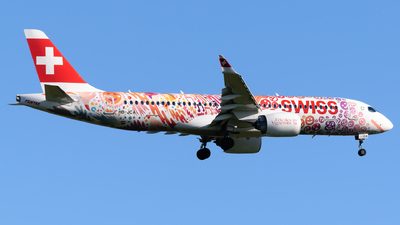 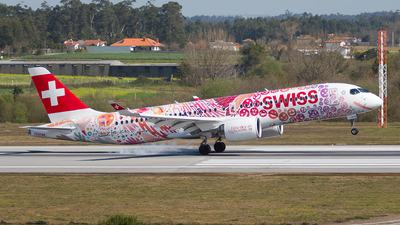 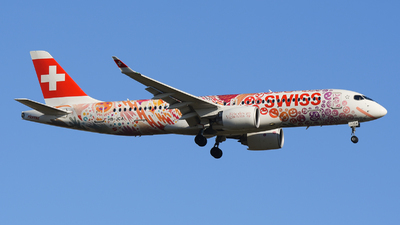 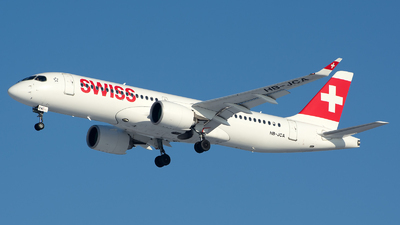 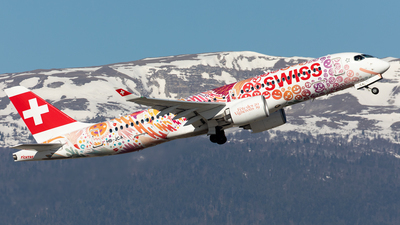 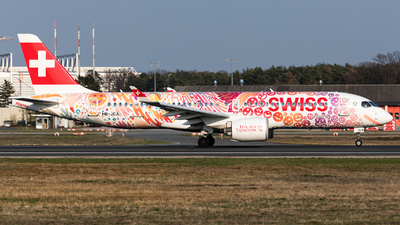 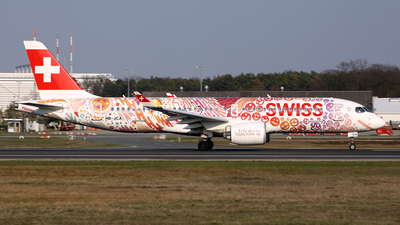 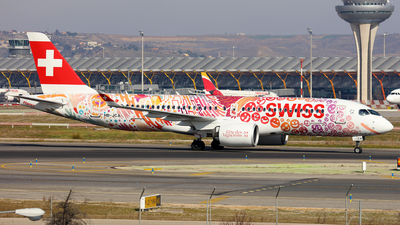 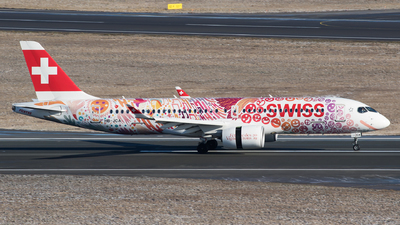 Note: Flight SWR353 to Geneva (GVA/LSGG) departs runway 27L. 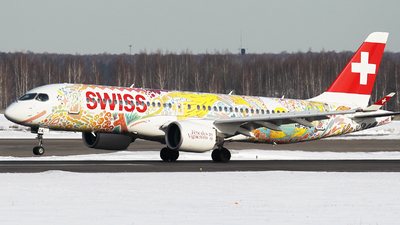 New special colours for this airframe. 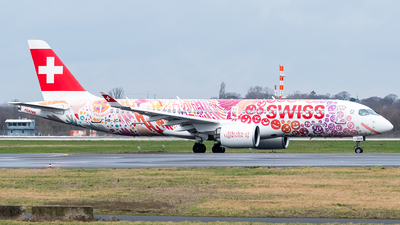 This time she is wearing 'Fête des Vignerons 2019 - Fichtre' colours. 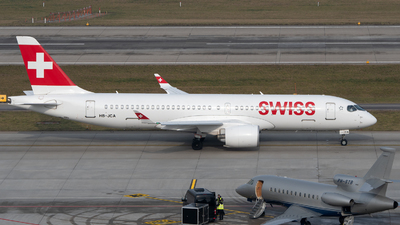 Note: Heading to the Terminal buildings. 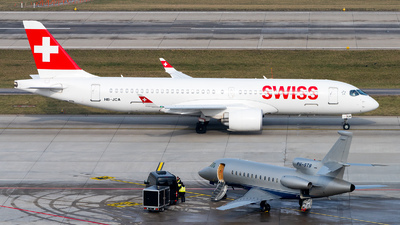 Note: My first C-Series/A220 and even in special colours.